You have a card printer and want to print cards yourself? 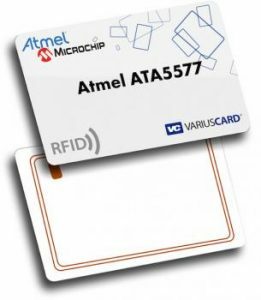 You need blank plastic cards, with or without chip, or magnetic strip? In white, coloured or metallic? No problem – we offer blank plastic cards in packs of 100 pieces. To print cards with your card printer, you will of course need blank cards, i.e. plastic cards without personalization, or unprinted plastic cards. You can easily order them from us. We also offer other accessories, such as color ribbons, card sleeves, lanyards, additional modules, and much more, for your card printer. 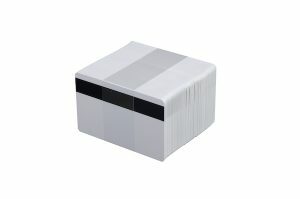 White blank cards are available with and without magnetic stripes. You can even process chip cards or smart cards with the appropriate card printer module. Our blank cards are suitable for all common card printers (Datacard, Evolis, HID Fargo, Matica, Zebra,…). 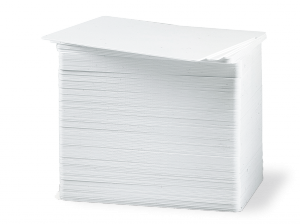 For special XL card printers we also offer blank cards with or without hole punching, card sizes can be up to 130 x 130mm. Blank plastic cards in high quality, packed to 100 pieces. 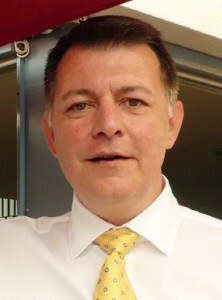 PVC and other substrates on request! As an alternative to white blank cards, we also supply coloured cards and metallic ones (silver/gold). With unprinted blank cards from VARIUSCARD you can easily decide when and how to print. With a suitable card printer, your cards are then ready for use on demand, i.e. flexibly on site. And if it should be a different basic colour, no problem, we can also supply plastic cards in yellow, green, orange, red, blue, black, etc. Questions about blank plastic cards? We are here to help you with any questions about Blank Plastic Cards. Please don’t hesitate to contact us.